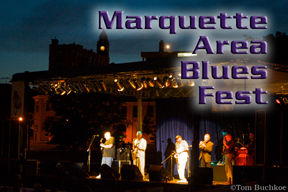 The Marquette Area Blues Festival has quickly become one of the most popular blues festivals in the Midwest. It takes place every year over Labor Day weekend on the shores of Lake Superior in beautiful downtown Marquette, MI. Besides featuring an amazing array of world-class blues musicians, the festival also offers a wide variety of food vendors, a beer tent, free workshops, a large dance floor and assorted arts and crafts booths. Weekend Pass (Good for August 31 & September 1, 2019) is sold in advance only by the NMU ticket office. All other passes are sold on-site.